Even as Rome's political managers sink ever deeper into quarrels, its monuments are crying out for help. In his report to the city's Cultural Commission Oct. 5, the capital's heritage superintendent Claudio Parisi Presicce presented a list of 10 monuments in dire need of immediate restoration, at a cost estimated at over $33 million. 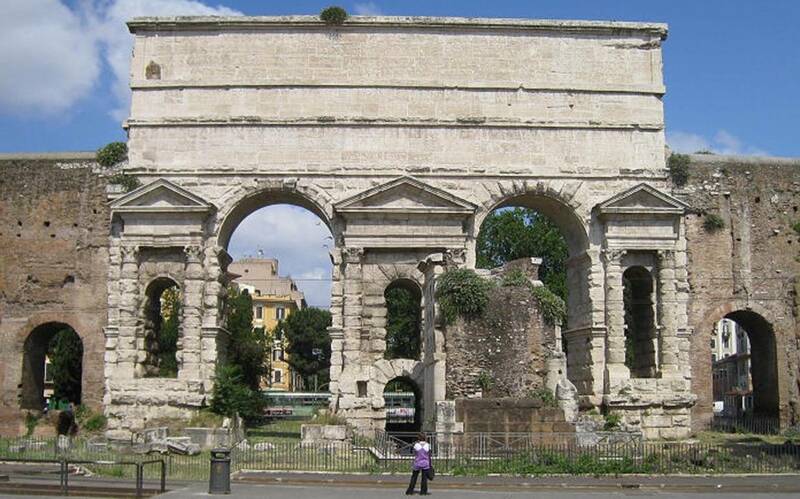 "We actually risk losing these sites [in Rome] unless we take speedy action," he warned. 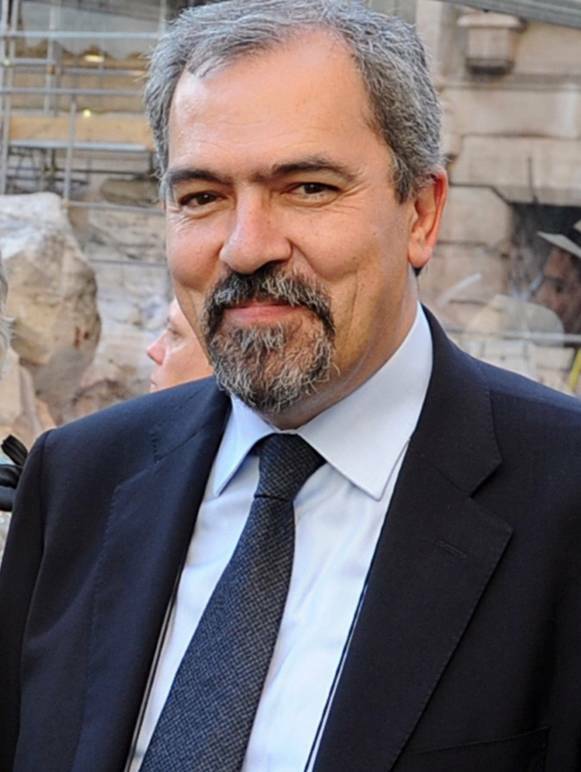 Archaeologist Presicce, formerly professor at the Universities of Urbino and Palermo, has long experience in the field, including on sites at Cyrene in Libya and Selinunte in Sicily. "The needs are immense," Presicce told the Cultural Commission. "Unfortunately since 2014 our office does not have [city] funds to pay for ordinary maintenance. What we are spending now is income generated from concessions and from the sale of image rights. But today the needs are immense because the problems have accumulated over time." For many years the city paid for contracts for ordinary maintenance, which ran to around $10 million annually, he explained, but in 2014 the city slashed that budget down to less than $775,000 for maintenance of monuments in downtown historic Rome and to under $600,000 for outlying districts, or by almost nine-tenths. 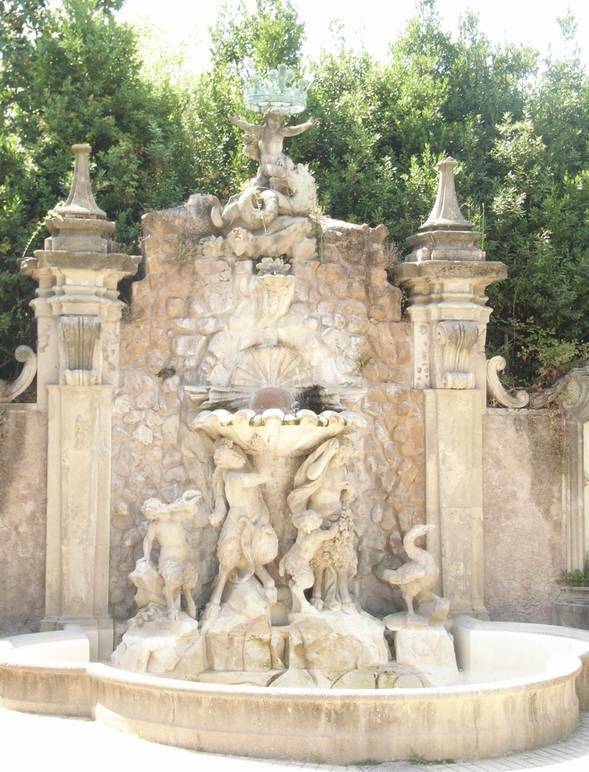 Among the ten sites Presicce listed as requiring urgent intervention are two vast gardens, the Villa Sciarra and Villa Pamphili on the Janiculum Hill, where "the situation is dramatic." Another is the Gianicolensi walls, built in 1643 by Pope Urban VIII on the west side of that same Janiculum Hill. Then there is Palazzo Senatorio on the Capitoline Hill, whose cornice and the bell tower are endangered; its bell dates from the early 19th century, and atop the tower is an ancient Roman statue of the seated goddess Minerva. A chunk of cornice already tumbled down years ago. 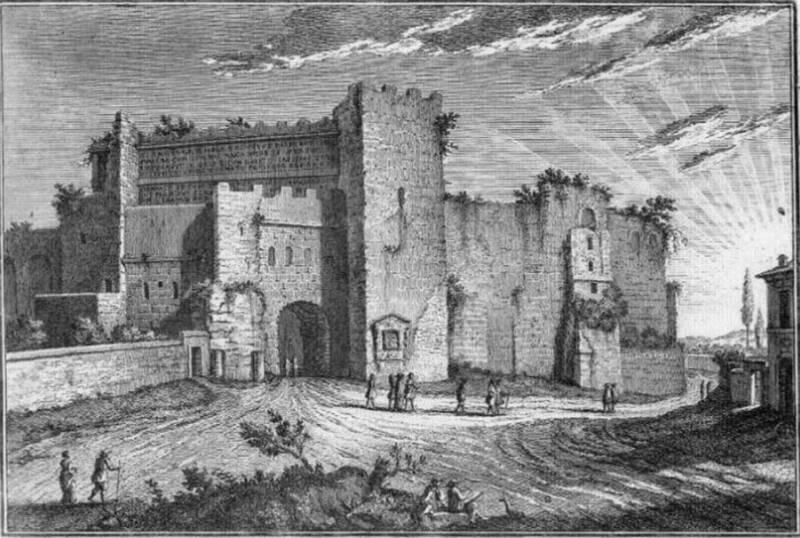 Yet another is the double gate Porta Maggiore, which passes through the Aurelian Wall amd dates from the Third century. Running through it originally were two ancient roads, the Via Praenestina and Labicana (today's Via Casilina) while today it suffers from pollution of vast numbers of automobiles which pass alongside it. Monuments on the Colle Oppio, or Oppian Hill, where Nero had his Golden House, and the Colle Celio, another of the famed Seven Hills of Rome, also require attention. The most ambitious restoration projects Presicce identified are the Aracoeli Piazza fountain on the Capitoline Hill, whose maintenence is estimated to cost $330,000 and require a year of work. 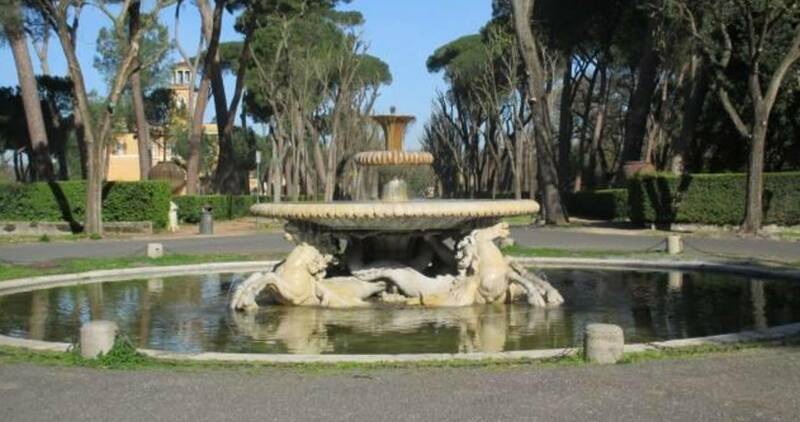 Restoration of the fantastic fountain of the Cavalli Marini, or seahorses, in the Villa Borghese will cost about the same. 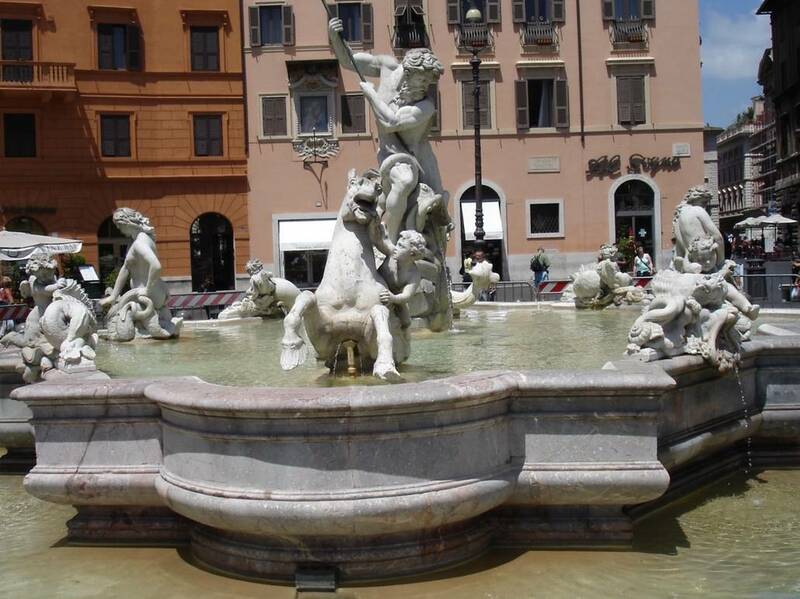 Repairs to the Neptune Fountain in Piazza Navona will run approximately $255,000. Not all the endangered monuments are as well known as those fountains. Also in need of attention is the large, round 2d century AD Roman cistern at 142 Via Cristoforo Colombo, discovered only in 1938 while that main road was being built. "Although some of the monuments are little known, they are witnesses to history and to the stratifications of time. They represent the summation of the cultural identity of this city, and hence of the whole nation -- indeed, I'd go so far as to say that it is an identity shared by many European countries and perhaps the whole world," Presicce said in an interview with the Press Agency Dire.